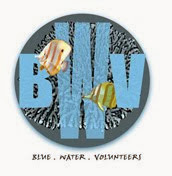 The Festival of Biodiversity is back this year! 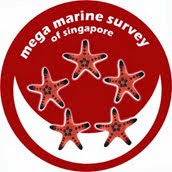 This year the festival is going to Vivocity to reach out to more members of the public. There is a line of activities planned for both days, ranging from Art & Craft Workshops to Storytelling Sessions. Click on the links of each activity to find out more. All activities are free, on a first-come-first serve basis. A launch of the festival will take place on the 13 July, Saturday, at 11:30am. 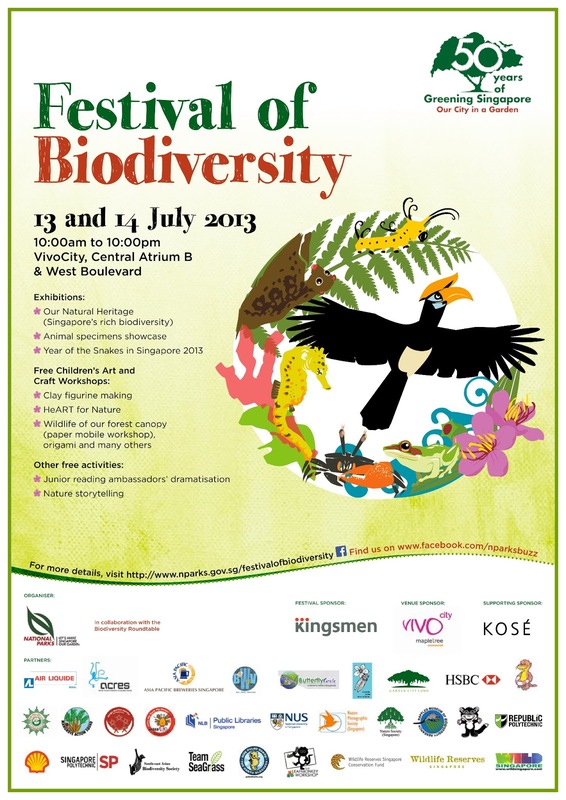 Running on 13 and 14 July, exhibitions will showcase 'Our Natural Heritage' and 'Year of Snakes in Singapore 2013'. For more information about the festival, check out http://www.nparks.gov.sg/festivalofbiodiversity/index.php.